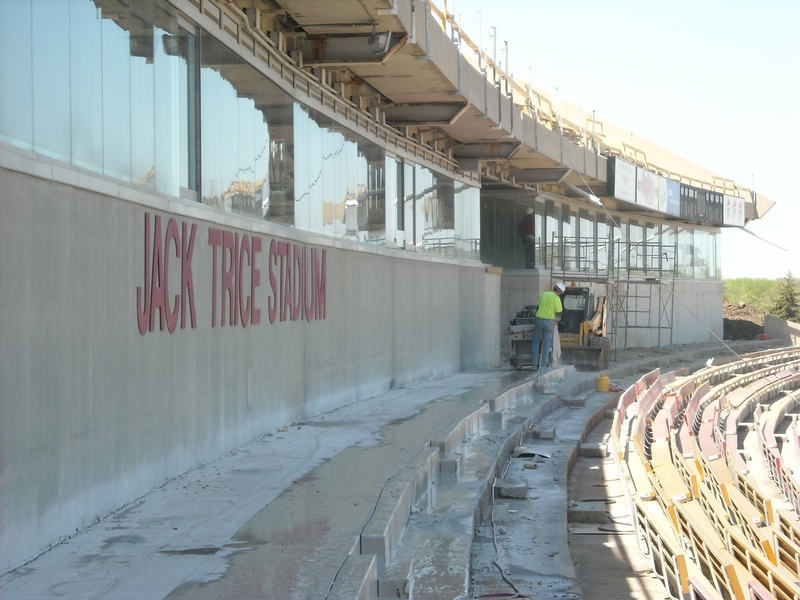 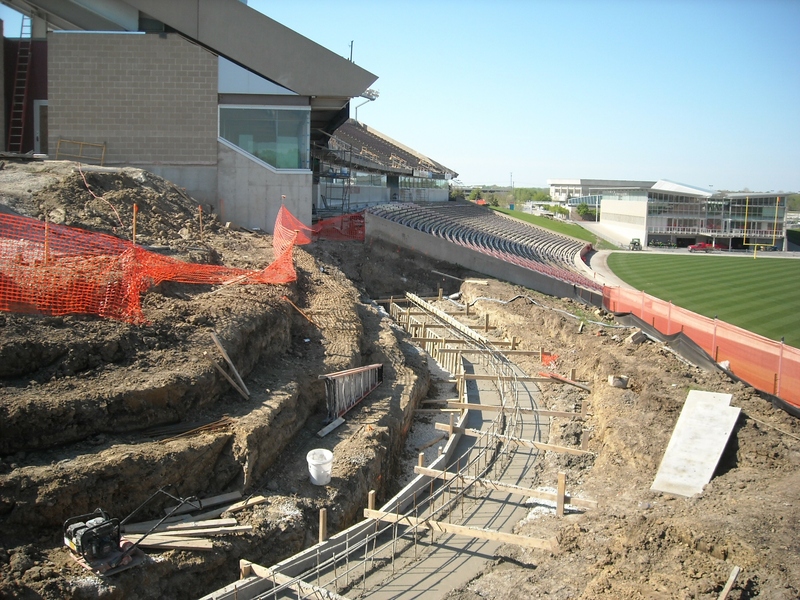 During the summer of 2008, Jack Trice Stadium, home of the Iowa State Cyclones, underwent a large scale renovation project. 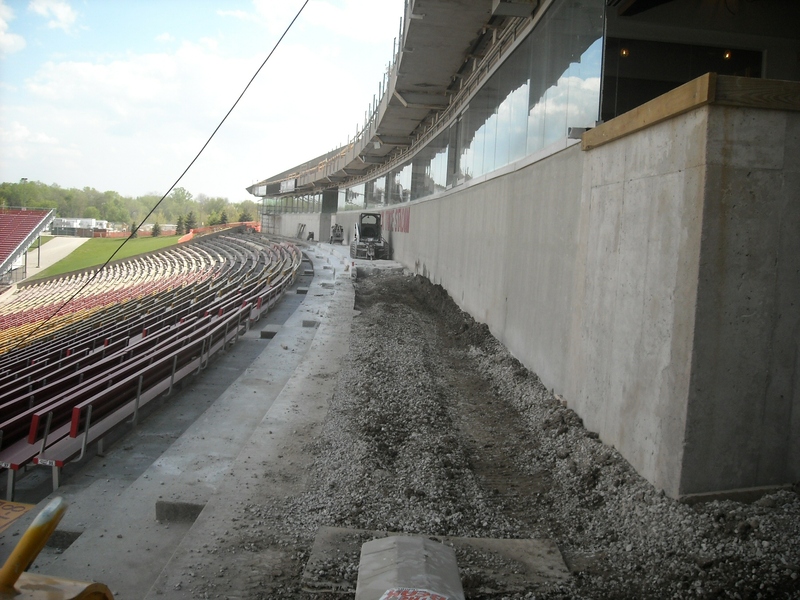 Henriksen Contracting was contracted to perform the pavement removals on west side of the stadium where the new luxury boxes were being constructed. 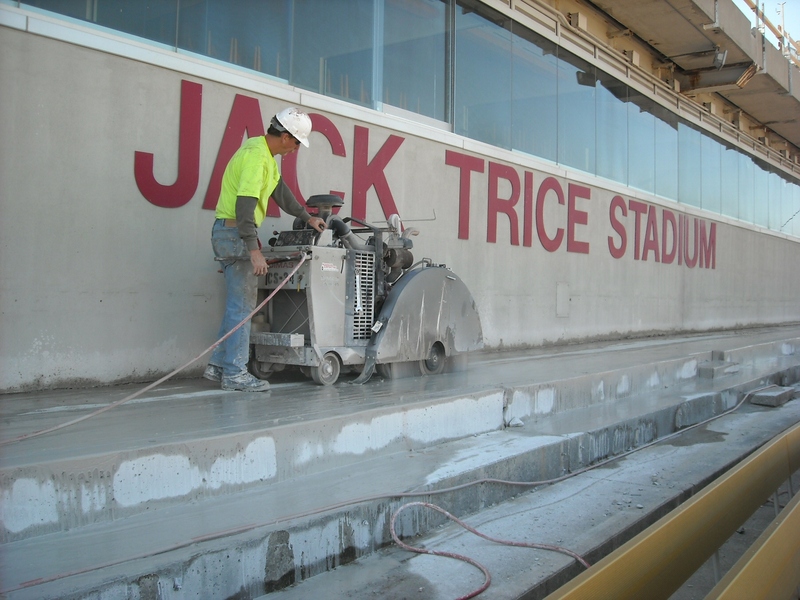 Because of the tight working area and the 18 inch thick concrete, this was a very slow and difficult process. 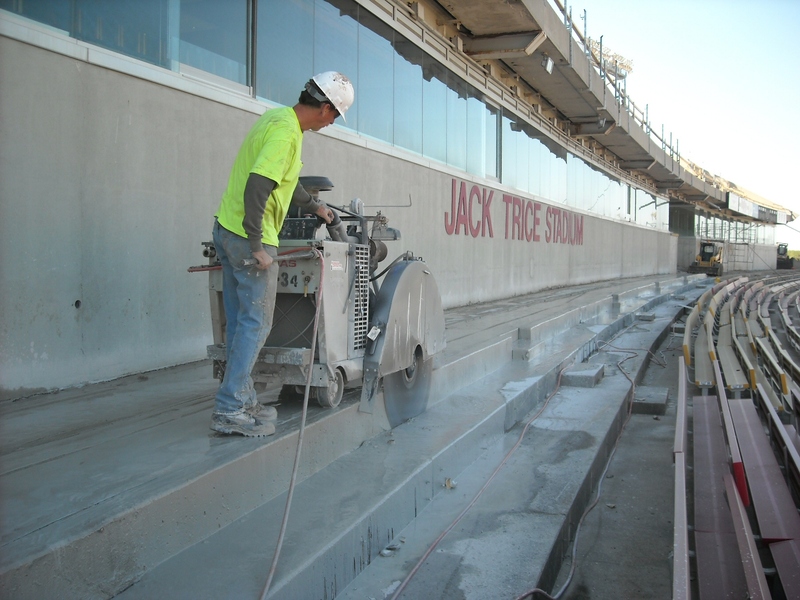 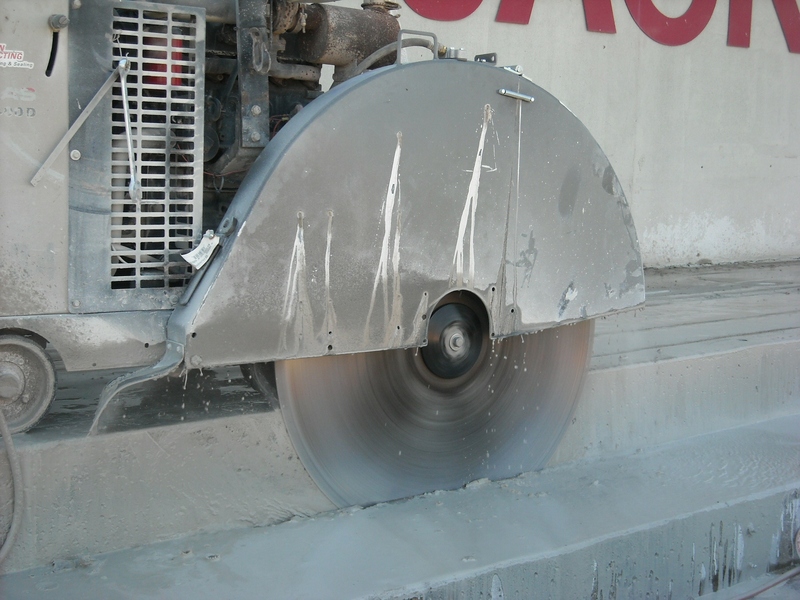 The pictures show one of the operators cutting the concrete with a 42 inch blade to get through the concrete and allow for its removal. 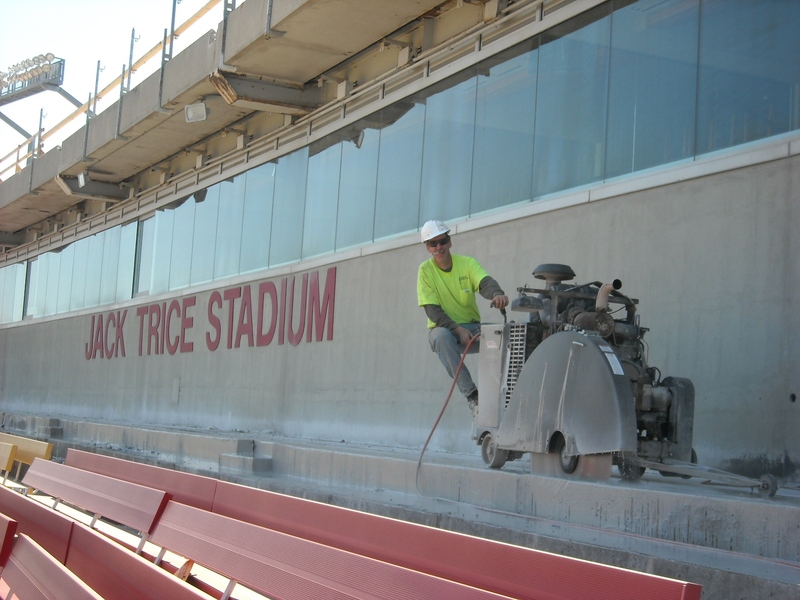 The Weitz Company was the general contractor on this project, and Henriksen Contracting was a subcontractor to Concrete Technologies.